Click here for class rates. The basis of the Pilates method. Mat classes are a great way to experience the energy of a small group. We focus on strengthening the muscles that stabilize the spine, full-body stretching and strengthening, as well as powerful breath, balance, and coordination. All Levels Welcome. Developed by Canisius College Anatomy professor and Pilates loft instructor Larry Tassini. This class challenges the core in a unique way; utilizing TRX-like straps, the Mat Pilates-based movements are executed in off-balanced positions which build great organization of muscles and neural pathways. Private lesson recommended prior to taking this class. The iconic Pilates apparatus; with its gliding carriage, and straps for arms or legs, the Reformer is incredibility versatile. It can help improve arm, leg, and back strength, flexibility, balance, coordination, and overall power, all while firing your deep core muscles. Private lesson recommended prior to taking this class. One-on-one sessions tailored to your specific needs and goals. 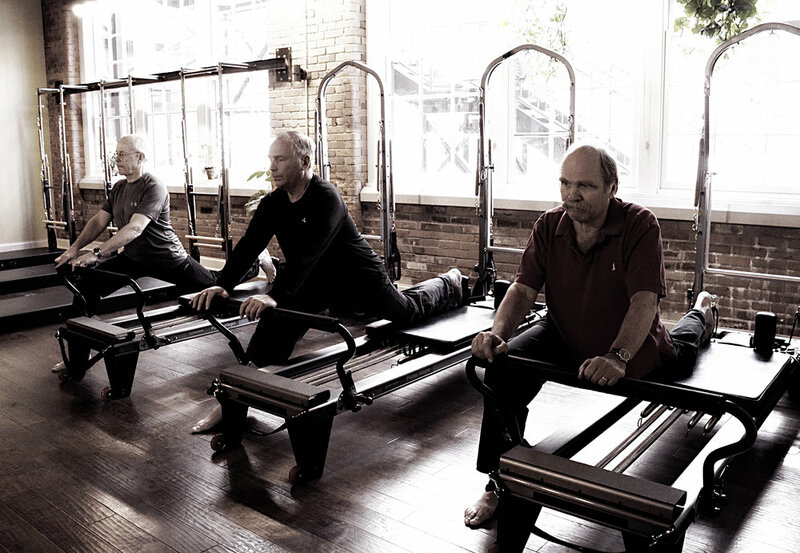 Exercises may be executed on the Reformer, Cadillac, Ladder Barrel, Wunda Chair, Spine Corrector, or the Mat. By appointment only. Offers the opportunity to work with springs to provide support and resistance. Tower classes build strength in the extremities and the core, as well as improve balance and coordination. Private lesson recommended prior to taking this class. A great way to get personalized attention while sharing training time with a friend. Exercises may be executed on the Reformer, Cadillac, Ladder Barrel, Wunda Chair, Spine Corrector, or the Mat. A Duet lesson is scheduled at your convenience. By appointment only. Click on a class to sign up.